Film director, film producer and screenwriter. Peter Jackson CNZM (born October 31, 1961) is a three-time Academy Award, Golden Globe and BAFTA winning New Zealand filmmaker best known as the director of The Lord of the Rings trilogy, which he, along with his long time partner, Fran Walsh, and Philippa Boyens adapted from the novels by J.R.R. Tolkien. He is also known for his remake of King Kong. 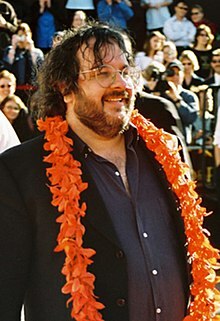 Peter Jackson first gained attention with his "splatstick" horror comedies, and came to prominence with his critically acclaimed Heavenly Creatures, for which he shared an Academy Award nomination for Best Screenplay Written Directly for the Screen with Walsh. Jackson was born in Pukerua Bay, New Zealand, an only child to Bill and Joan Jackson, both of whom were immigrants from England. As a child, Jackson was a film fan, growing up on Ray Harryhausen films as well as Thunderbirds and using his parent's Super 8 cine-camera. Citing King Kong as his favourite film at age 9, he attempted to remake it with his own stop-motion models. Jackson started his career in film as a fanatical hobbyist, creating small films with simple technical means and with the help of his friends. When one of his projects, the horror comedy Bad Taste, grew over four years (from 1983 to 1987) from the originally planned 10 minute short to a 90-minute feature film, Jackson and his crew took the end result to the Cannes Film Festival, received critical acclaim and sold the rights to twelve countries. This allowed him to start a professional career as a film director. During post-production on Bad Taste, Jackson also met Fran Walsh. Jackson worked with Richard Taylor to produce two films: Meet the Feebles (1989) and Braindead (1992) (released in North America as Dead Alive). Afterwards he worked with Fran Walsh on Heavenly Creatures (1994), earning both of them an Academy Award nomination for Best Original Screenplay. Jackson then directed the Robert Zemeckis production, The Frighteners (1996), starring Michael J. Fox. Jackson also worked with Costa Botes on the spoof documentary Forgotten Silver. However, The Frighteners flopped and work on a remake of King Kong was canned by Universal Studios. In the meantime, Jackson and Walsh welcomed their children, Billy (1995) and Katie (1996) into the world. Jackson earned the rights to a film adaptation of J. R. R. Tolkien's novel in 1997 from Saul Zaentz. Working with Miramax for a two-film production, they soon wished to make a single film, and Jackson made a new deal with New Line for a trilogy in 1998. Principal photography went on from October 11, 1999 to December 22, 2000 with Jackson monitoring as many as seven units across New Zealand locations and sets. With the benefit of post-production on each film for their December releases, the films were huge successes and sent Jackson's popularity soaring. Universal Studios signed Peter Jackson for his first film following The Lord of the Rings trilogy, a remake of the 1933 classic King Kong — the film that inspired him to become a film director when he was 9 years old. He was reportedly being paid a fee of US$20.000 million upfront, against a 20 percent take of the box-office rentals (the portion of the price of the ticket that goes to the film distributor, in this case Universal). The film was released on December 14, 2005, and grossed around US$550 Million worldwide. Its release on home video and DVD was even bigger, as it set records for a Universal Pictures DVD in sales figures. Between The Return of the King and King Kong, Peter Jackson lost a large amount of weight (over 50 lbs/22.5 kg) to the point of being unrecognizable to some fans. According to the British Daily Telegraph he attributes his weight loss to a diet change. He said, "I just got tired of being overweight and unfit, so I changed my diet from hamburgers to yogurt and muesli and it seems to work." His attention will now move to the film version of Alice Sebold's bestseller, The Lovely Bones, which he will be writing and directing and which he has said will be a welcome relief from the larger-scale epics and bears some similarities to Heavenly Creatures. Jackson's involvement in the making of a film version of The Hobbit, along with another possible Lord of the Rings prequel has had a long and checkered history. Currently it would seem that Jackson and his team will not be involved in this project. In November 2006, a letter from Peter and Fran Jackson mentioned that due to an ongoing legal dispute between Wingnut Films (Jackson's production company) and New Line Cinema, they would likely not be directing the film.However, in response, MGM spokesman Jeff Pryor has stated that "We still believe this matter of Peter Jackson directing 'The Hobbit' is far from closed." As MGM owns the distribution rights to the Hobbit film, this may carry some weight. Jackson has begun producing. He was set to make a $128 million movie version of the sci-fi video game Halo, which is currently on the backburner after backers 20th Century Fox and Universal Pictures pulled out. Additionally, Jackson will produce a remake of The Dam Busters in 2007, along with Sir David Frost as Executive Producer. Jackson has also earned the rights to a film adaptation of the fantasy novel series Temeraire, though it remains to be seen if he will direct it. Peter Jackson will make three games with Microsoft Game Studios, a partnership announced on September 27, 2006, at X06. Specifically, Jackson and Microsoft are teaming together to form a new studio called Wingnut Interactive. In collaboration with Bungie Studios, Jackson will co-write, co-design and co-produce an entirely new game taking place in the Halo universe. Jackson has also expressed interest in filming two back-to-back sequels to his directorial debut Bad Taste. In A Film-maker's Journey, a biography of the director by Brian Sibley, Jackson is quoted as saying "The plan was now for the boys to go the planet Nailic Nod, find Derek, have a climactic encounter with the aliens on their home turf and escape home. The third film was then to feature the aliens' mass revenge attack on Wellington with a finale featuring a spectactular aerial battle over the city with dozens of flying houses, buzzy bees (New Zealand pull-along toys) and Santa Claus." The two sequels have the working title of Jamboree. Jackson is well known for an attention to detail, a macabre sense of humour and a general playfulness to the point where The Lord of the Rings miniatures director Alex Funke jokingly remarked "the film is almost incidental really". Unlike some other New Zealand film directors, Jackson has remained in his native country to make films, preferring to have Hollywood come to him. This has been the genesis of several production and support companies. Most of Jackson's assets are on the Miramar Peninsula in his home town of Wellington and much of his filming occurs in and around the city. He successfully cajoled New Line Cinema into holding the world premiere of The Return of the King in the city's iconic Embassy Theatre, which he has helped restore. He was an early user of computer enhancement technology and provided digital special effects to a number of Hollywood films by use of telecommunications and satellite links to transmit raw images and the final results across the Pacific Ocean. A perfectionist with his film projects, Jackson demands numerous takes of every scene (with his "One more for luck"), pushes his special-effects crew to make their work seamless and invisible, and insists upon authenticity in miniatures even on the sides that never appear in a film. On the other hand, many of his most beautiful scenes result from purely serendipitous shots taken while flying from one location to another. Jackson is also renowned, within the New Zealand film industry, for his insistence on "coverage" - shooting a scene from as many angles as possible thereby only creating his final vision in the editing process; when he has as many options to choose from as possible. A trademark, perhaps, of his roots in do-it-yourself filmmaking, Jackson has been known to spend days shooting a single scene in order to get as much coverage as possible. This is evident in his work where scenes - even those featuring simple conversations - often feature a wide array of multiple camera angles and shot-sizes as well as his trademark zooming closeups on character's faces. Peter Jackson in The Fellowship of the Ring (top), The Two Towers (middle) and The Return of the King (bottom). In The Lord of the Rings film trilogy, he played a drunken, carrot-chomping citizen of Bree (The Fellowship of the Ring); a spear-throwing defender of Helm's Deep (The Two Towers); and as a rider during the charge on the Pelennor Fields (The Return of the King). He has a fourth cameo as the boatswain of a corsair ship in The Return of the King, seen in brief in the theatrical version, and longer in the extended version when Aragorn, Legolas, and Gimli commandeer the ship after recruiting the army of the dead, where he is accidentally killed by Legolas. Though not a cameo in the traditional sense, he also served as a stand-in for Sean Astin in the shot where Samwise Gamgee steps into frame, challenging the monster Shelob, thereby giving him three different appearances in that film. He was also the voice of Bilbo near the beginning of The Fellowship of The Ring when Gandalf first knocks at Bilbo's door. Along with being writer, director, producer, and cameo actor in The Two Towers, he also has a moment on the soundtrack where he plays a gong (When Eowyn seems to disappear from the edge of Edoras as Aragorn looks up a second time, Peter's gong hit is heard). Jackson appeared as a bi-plane gunner attacking Kong in New York, reprising the cameo which original King Kong filmmaker Merian C. Cooper made in his 1933 film. In The Frighteners, Jackson is a biker bumped into by Frank Bannister. In Heavenly Creatures, he is a bum kissed by Juliet Hulme. In Braindead, he is the mortician's assistant. Jackson's eldest son Billy (born 1995), has had cameo appearances in every one of his parents' films since his birth, namely The Frighteners (1996), The Lord of the Rings film trilogy, and King Kong. His daughter Katie (born 1996) appeared in all the above films, except The Frighteners. Rumours of a feud between Jackson and George Lucas are untrue. In fact, quite the opposite as they are friends. However, they do own rival special effects companies that compete mightily against one another, with Jackson owning Weta Digital and Lucas owning Industrial Light and Magic. Jackson credits Lucas's Industrial Light and Magic in teaching him the ways of special effects in film. He owns a King Kong and Pterosaur model used in the original 1933 King Kong film. In King Kong when we first see the hold of the ship, a cage with "Sumatran Rat-Monkey - Beware the bite!" written on the side is visible - a homage to Jackson's third film Braindead, in which the monkey carries the zombie virus. The $20 million paid to him for King Kong is reportedly the highest salary ever paid to a film director in advance of production. He has given NZ $500,000 to stem cell research. Has two other studios: Wingnut Films and Wingnut Interactive. ^ tothesource. Retrieved on 2006-10-18. ^ This gorilla of a film is blockbuster of the year. Daily Mail (December 5, 2005). ^ Paul Fischer. Interview: Peter Jackson "King Kong". Dark Horizons. Gorilla Nation. Retrieved on 2006-10-18. ^ "Xoanon". "Peter Jackson and Fran Walsh talk The Hobbit", The One Ring, 2006-11-19. Retrieved on 2006-11-20. ^ Template error: argument title is required. ^ "Peter Jackson to film Dam Busters", BBC, 2006-08-31. ^ (interview with Peter Jackson). Ain't It Cool News. ^ "Temeraire on Warpath", filmforce, IGN.com, 2006-09-12. ^ "X06: Peter Jackson Forms a Game Studio", 1UP.com, September 27, 2006.